It has been revealed that Linux will be the first system to support USB 3.0 – the speedy successor to USB 2.0. The transfer speeds of USB 2.0 are very impressive, with the connection allowing 5Gbps download times. No wonder the connector has been dubbed SuperSpeed. Currently USB 2.0 can pipe information through at 480Mbps. The news was announced by Sarah Sharp, a Linux developer at Intel's Open Source Technology Center. Intel is working on the standard, as are NEC, HP and Microsoft. Sharp on her blog said: "I'm working with Keve Gabbert (the OSV person in my group at Intel) to make sure that Linux distributions like Ubuntu and Red Hat pick up the xHCI driver. 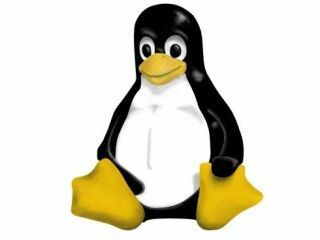 Advanced users can always compile their own kernel on a standard distro install." USB 3.0 is to appear in Kernel 2.6.31, which will mean that Linux Users will be able to have the new feature from September. For those who don't want to wait that long, Sharp has a guide on how to create a custom kernel for the standard, you can find it at http://sarah.thesharps.us. Products using USB 3.0 should trickle into the market from the end of 2009, early 2010, but it's nice to see Linux get in there early with the software support, ready for the hardware and not the other way around.